Some of us have struggled with loneliness, feelings of isolation and Post Natal Depression. Some of us have children with speech, language and communication difficulties, whilst others are on a low income and every day is a battle to make ends meet. 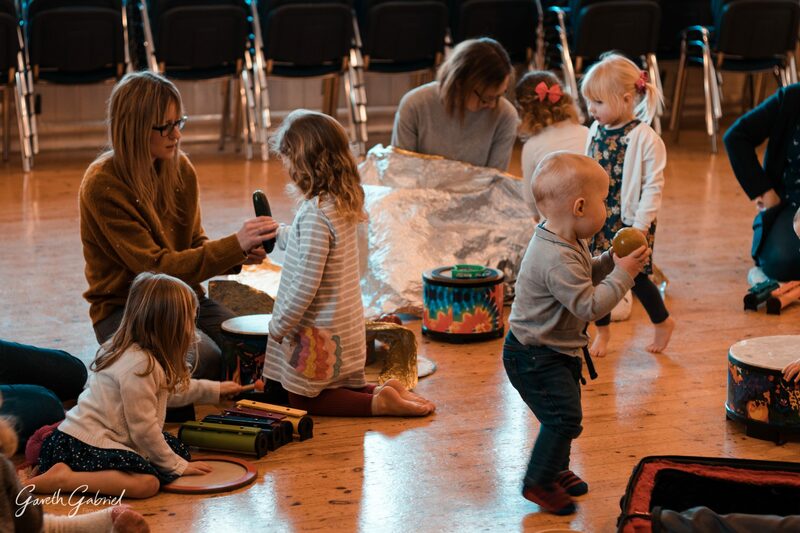 We have one thing in common, one thing that unites us, one thing that has brought us together; our free Community Music Group for our children, whether they are newborn or about to start school, whether we have one child or four, a place where we feel welcome no matter who we are. Our group is far more important to us than simply musical education. It is a place where we feel the joy of making music together with our children, make friends and feel that we belong. It is a place where our children can express themselves through creative music making and movement. This is where we see our children grow in confidence and know that our children’s little voices are listened to and valued. We are families who live in Briston and Holt, an area which has been nicknamed the poverty blackspot of North Norfolk. Ten years ago it was discovered that the children in our area had a significant delay in their speech, language and communication skills compared to the rest of the country. The local Children’s Centre took action and funded high quality, free ‘open to all’ music groups in six villages and towns in North Norfolk. In three of those communities, they commissioned the same Early Years Music Specialist to bring musical experiences to children in nurseries and schools to ensure that every child had equal opportunities, with the main purpose to raise our children’s speech, language and communication levels in our deprived and rural communities. The results were excellent; the speech, language and communication levels rose and are now above average, due in part, we believe to 10 years of free music groups for every child. Unfortunately, due to funding cuts, the groups were canceled one by one and eventually in June 2017 our Holt and Briston music groups lost funding too. They were the very last free, open door groups of their kind in North Norfolk. 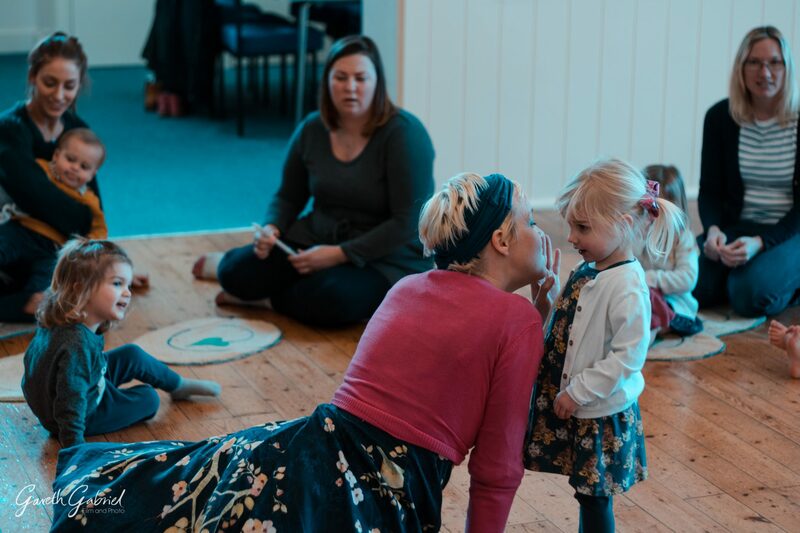 We originally set up ‘Music for Families’ to make sure the groups continued free for everyone, to keep this valuable resource here for future generations in our community. We soon realized that what we have is unique and special, other parents told us how the groups have not only helped their children’s speech, language, and communication it also helped them with depression and Post Natal depression. We have an opportunity to grow and develop into something much more beneficial for families in our Community. We will be offering more than a music group. We will have a speech therapist and a counselor at the groups for families to talk to. We will offer free sessions with a speech therapist or a counselor to families who need help. We are creating play packs specially designed to encourage singing at home, which is where children learn best. We are growing and developing into something extraordinary. It is only by being part of the group that you really understand the significance of what happens in these sessions. Children slowly, slowly develop confidence and a sense of independence. They learn wide varieties of information without even realising it. Parents learn fun and interesting ways of interacting with their children. This is because it is a safe place. Our group is safe, we help each other out with our children, we do not judge each other’s parenting. Our daughter has really benefitted immensely from your wonderful group. With your gentle way and patience each week her confidence has really blossomed and for me, it’s been amazing to see and has been the greatest gift to her. You seem to pick up on of her anxieties and worries and adapt yours (and Pugs!) behaviour so she still feels an incredibly important part of a sometimes very large group. We are determined that our story has a happy ending, but we can’t do it alone. We are looking for funders to help so that we can continue to bring families together, nurture children’s confidence, support our children to express ideas and emotions through music and to create safe places where our children’s little voices are listened to and valued.